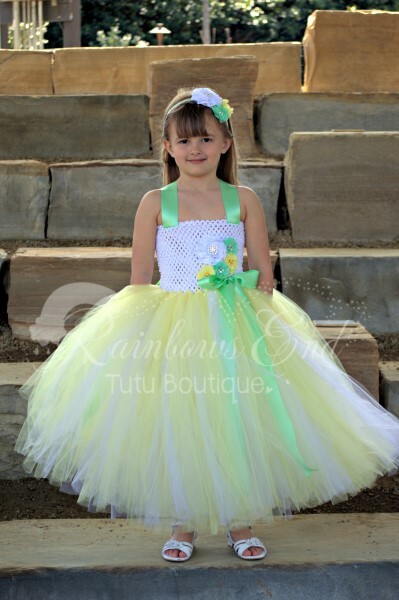 This yellow and white tutu dress has accents of green ribbon to welcome in spring. 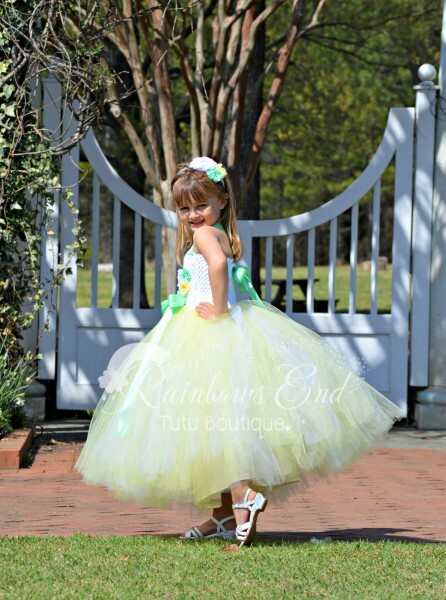 Sure to be a favorite as it is perfect for a garden wedding. This dress has an empire waist and is designed to fall right below the knee. Matching headband is sold separately.